With its integrated sensors, the Transport Data Logger ensures transparency along the entire supply chain. It’s an intuitively operable device that requires no prior working knowledge, and the data it captures can be visualized via an app for smart phone and tablets. The Transport Data Logger, or TDL for short, facilitates transparency in the supply chain process. Once attached to the shipment, the TDL measures and records temperature, humidity, tilt, and shock. Data captured by the TDL can be visualized through a mobile application. The limits of each parameter are individually configurable, and any violation is traceable and clearly assignable throughout the entire supply chain. 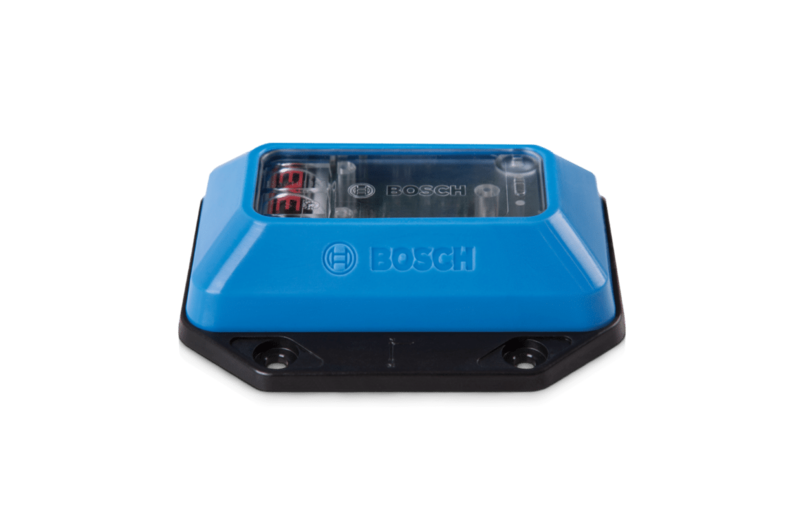 A simple yet versatile, reliable, and cost-effective delivery monitoring device that carries the Bosch seal of quality. With its 360-degree approach, the TDL offers supply chain transparency and peace of mind. In the event that a parameter threshold is exceeded, the TDL provides verifiable proof and a reliable indication of possible primary and secondary damage. Individual configurability, ease of use, and effortless integration without prior knowledge requirements of the logistics chain. The TDL provides added value regardless of the type of logistics involved. It creates trust between partners and provides important data for the optimization of logistics processes. If there is no parameter violation, the TDL offers proof of a fail-safe transport chain.